bWin Casino is a part of the bwin.party, the largest online gambling company in the world, which was formed after the merger of two huge companies earlier this year. bWin is known as one of the most popular gambling service providers, sponsoring some of the most known sports teams and events worldwide. When it comes to the actual online casino and experience provider, you surely won’t be disappointed. 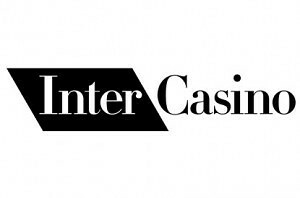 There are more than 100 unique and high quality games offered, that are developed by the Party Casino, which is also owned by this same company. 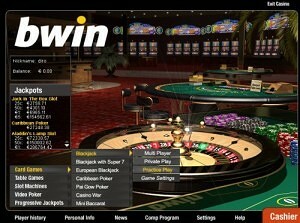 Instant Play – in browser flash version of the casino that will allows users of all kinds of computers to enjoy the experience. Downloadable client – download the casino and start it directly from your computers desktop. Mobile – enjoy the thrill of casino games directly from your mobile phone or tablet device. Choose from an instant version or downloadable application. The Incredible Hulk – slot machine themed after the green giant Hulk himself. Play this 25 pay line game for a chance to win the Marvel SuperHero Jackpot. Knight Rider – remember the popular series of Knight Rider and KITT? This is a game themed exactly after those series and features 30 pay-lines as well as a free spins feature that can be triggered by spinning 3 scatter symbols anywhere on the reels. Mega Fortune Wheel – five reel, 9 pay line slot machine with an amazing bonus game that puts you in a position of spinning a bonus wheel, just like you’ve seen in those TV shows. The Amazing Spiderman – one of the most popular characters, visualized in a series of big hit movies as well as comics. Play this 25 pay line slot machine for your chance to win Marvel SuperHero Jackpot! Thor – a quite similar game to ThunderStruck2, which emphasis the same god – Thor. This one is 5 reel slot game with action over 9 pay lines. 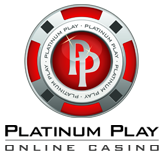 Roulette – European, European Pro and Live dealer variations offered. New customers joining bWin Casino will receive a 50% up to $50 welcome bonus, which is quite tiny, when compared to other casinos. This bonus will be awarded to your account right away and ready for use at any casino game you please. As usual, there are some play through requirements in place and in this case you will have to wager 20 times your deposit + bonus amount, before a withdrawal can be requested. The games that contribute to wagering are all slots as well as Parlor Game. Games like BlackJack, Casino War, Sic Bo, American Roulette, Craps, Baccarat and Poker won’t contribute any wagers made towards clearing the requirements.